Budget is always the most direct choice factor when installing cables. Copper cable vs fibre optic cable price, it’s true that the popular impression is that copper is cheap, fibre is expensive. Well, at a certain period in the past decades, it’s true. However, today with the development of networking, is copper cabling really cheaper than fibre optic cabling? Copper vs Fibre: What’s the Difference? Copper and fibre optic cable are different cable types. Copper cable, also called RJ45 Ethernet cable, transmits data by electrical impulses, which is perfectly adequate for voice signals. Copper cables have many types such as Cat5, Cat6, Cat7 and Cat8, which can reach different transmission speeds. Cat5 Ethernet cable is once as slow as 10 Mbps over 100 metres. However, on today’s market, copper is getting faster. That the latest technology Cat8 Ethernet cable speed now can reach 40Gbps for 20 metres, but note that it has the notable limitation with regard to distance. Unlike copper cable, fibre cable is made from fine hair-like glass fibres, which transmits data via light. Therefore, fibre cable does not conduct electricity, which is impervious to radio frequency interference. It’s naturally more durable than copper that it can withstand tougher environments and harsher weather conditions. As for the speed, fibre definitely wins for sheer speed and longer transmission distance. For example, the maximum distance of single mode fibre OS2 can be up to 200km. The following table makes a clear comparison between copper and fibre cables. People always believe the cost of fibre optic cables are expensive. Is it true? The following will discuss it in two main factors. Due to the technological differences between fibre and copper cables, their installation cost are different. Fibre’s immunity to electromagnetic interference (EMI) can save users’ cost, because they don’t need to lay fibre optic cables in the pipeline for avoiding electromagnetic interference. But copper cables need some protection, which increases the installation cost. Besides, in many scenarios, users need distributed cabinets for copper network while fibres don’t require this due to the longer distances. There are duplicated costs of building comms rooms, air con, ventilation, UPS (Uninterruptible Power Source) that people should not ignore in copper cabling. All these installation costs will exceed the extra cost of fibre equipment in a centralized fibre architecture. Therefore, if people decide to build a new data center, choosing fibre-based LAN is a much more economical solution than a copper networking environment. Fibre optic cables are not fire hazard since light can not catch on fire. This means fibre cabling can save the cost of fire prevention. And fibre cables don’t break as easily, that customers will not worry about replacing them frequently. Thus, the support cost of fibre is less than the copper cable. On the other hand, the increasing demand for fibre cables results in dropping prices. For example, at FS.COM, a Cat6 UTP cable with 3ft length needs 2.2 dollars, while LC to LC UPC duplex single mode fibre patch cable with 3ft length just costs 3 dollars. The price difference is narrow. Therefore, when copper cable vs fibre optic cable price, the cost of copper cabling is not much cheaper than fibres. In conclusion, copper cable vs fibre optic cable price, the copper one is not always the cheapest choice. When building a new network, people should not ignore the installation and support costs of these different cabling solutions. It’s wise to choose one according to the actual installation environments. If you have any further questions about fibre or copper cabling, you can always get in touch with FS.COM staff via sales@fs.com. SFP, RJ45, and GBIC transceiver modules are three main kinds of 1GbE transceiver modules on the market. You may be puzzled by so many choices of transceiver modules. Don’t worry about it. This article will help you clarify the differences among SFP vs RJ45 vs GBIC transceivers and give you some suggestions about how to choose from them. What Is an SFP Transceiver? Short for small form-factor pluggable, an SFP module is a kind of fiber optic transceiver module with LC duplex interface. It supports the transmission data rate of 1GbE. SFP optical transceivers can operate on single mode or multimode fiber patch cables. The transmission distance of SFP modules ranges from 550m to 150km. What Is an RJ45 Transceiver? SFP copper RJ45 transceiver is a kind of transceiver with copper RJ45 interface. SFP copper RJ45 transceiver modules can support the transmission data rate of 1GbE. They are often used with Cat5 cables. SFP copper RJ45 transceivers are popular to be used for short distance transmission, because the overall cost of the copper network is lower compared with the optical network. What Is a GBIC Transceiver? Gigabit interface converter (GBIC), is a kind of hot pluggable fiber optic transceiver module. With the data rate of 1GbE, GBIC transceiver modules can transmit data through the distance of 550m to 80km. A GBIC module supports the same data rate with an SFP module, but a GBIC transceiver module has twice the size of an SFP transceiver module. SFP vs RJ45 vs GBIC: What’s the Difference? After getting a general idea about what are SFP, RJ45, and GBIC transceivers, we will talk about the differences among them. The following chart shows the differences among SFP vs RJ45 vs GBIC transceiver modules from 4 aspects. 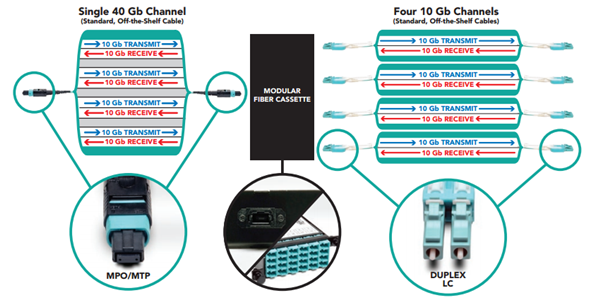 As is shown in the chart, SFP, SFP copper RJ45, and GBIC transceiver modules are all used in 1Gbit data transmission. Then when to choose which for the 1GbE network? 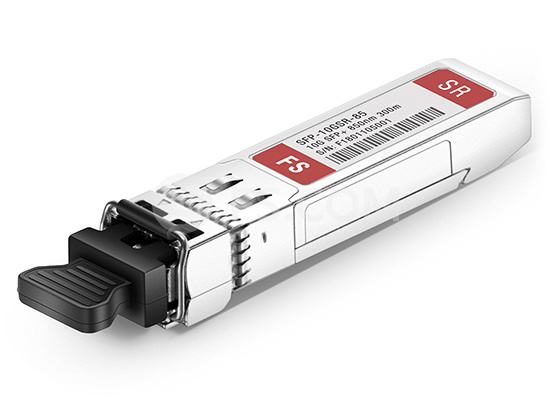 When to Choose SFP Transceivers? Compared with GBIC transceiver modules, SFP modules have a smaller size. So SFP modules allow having more interfaces on a line card or a switch. Besides, SFP transceivers can support the transmission distance much longer than SFP copper RJ45 transceivers and GBIC transceivers. So if you require long transmission distance, SFP transceivers can meet your need. Last but not least, If you already have a line card or a switch with empty SFP slots, then you need to adapt to that. When to Choose SFP Copper RJ45 Transceivers? When your budget is not enough to use SFP transceivers, you can choose SFP copper RJ45 transceivers for short-distance transmission. If you have the requirement of long-distance transmission afterward, you can use SFP to RJ45 slot media converters. For they can provide an economical path to extend the distance of an existing network with fiber cabling. 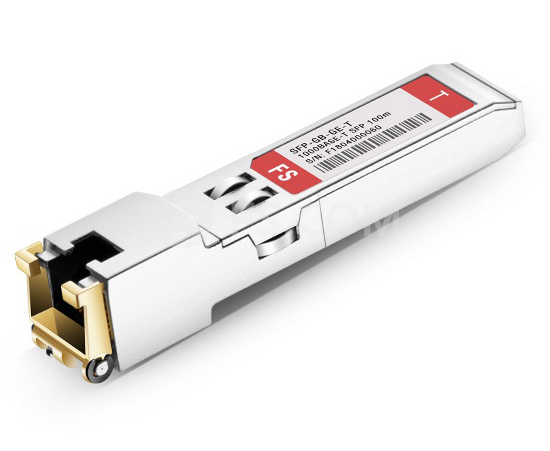 If you already have a line card or a switch with unoccupied GBIC slots, then you need to choose GBIC transceivers to make full use of the empty slots on your switch. In fact, GBIC transceiver modules are gradually replaced by SFP modules on the market. 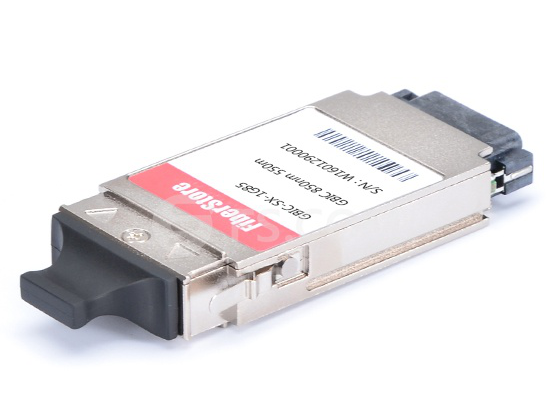 For SFP transceivers are regarded as the upgraded version of GBIC modules. The differences among SFP vs RJ45 vs GBIC transceiver modules include the interface type, transmission distance, and cable type. Your choice among them depends on different situations. If you want to buy Cisco SFP modules or other transceiver modules with high quality and low cost, please contact us at sales@fs.com. What Is Blank Patch Panel and How to Use It? Proper cable management is always a must for data center networks to ensure tidy and organized cabling environments. We have introduced fiber optic patch panels, fiber enclosures and other fiber cable management products in previous posts for fiber cabling solution. How about copper cabling solution? This post will introduce copper blank keystone patch panel and its installation method. Also we’ll compare blank patch panel vs preloaded patch panel in order to give you best selection guide for Ethernet cabling. Figure 1: 12 Cat6 cables and 12 Cat5e cables are terminated on one single 24 port blank patch panel while installed with Cat6 and Cat5e insert modules. What Is Blank Patch Panel? Blank keystone patch panel, or unloaded patch panel, is an optional Ethernet patch panel. Different from pre-loaded patch panel with built-in RJ45 ports, blank keystone patch panel is designed with 24/48 reserved holes. The empty slots allow one to install different keystone jackets such as Cat5e/Cat6 insert modules according to his need. 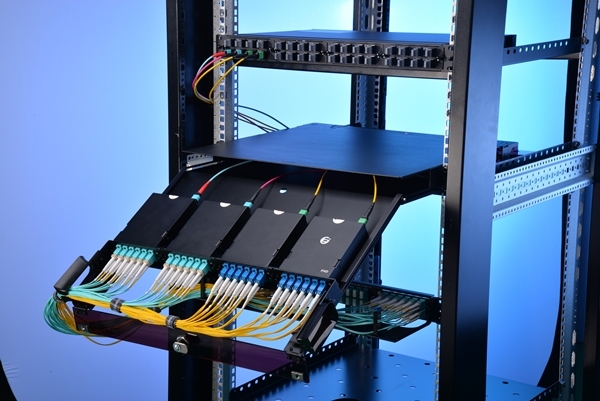 Thus the blank patch panel can terminate different cables while different connectors fit on, and one same patch panel enables several types of cables to be connected. All blank keystone patch panels from FS.COM are high density 1U rack mount, no matter 24-port or 48-port. They can easily mounted into a standard 19’’ rack, cabinet or wall bracket. All empty ports are also pre-numbered for easy connection and identification. Figure 2: Using different keystone jackets or insert modules to customize 24 port blank keystone patch panel. What Are the Types of Blank Patch Panel? Generally FS manufactures two types of blank patch panels, with 24/48-port, STP/UTP and Ethernet/multimedia network cabling for option. For Ethernet cabling only, take this 24 port blank keystone patch panel. 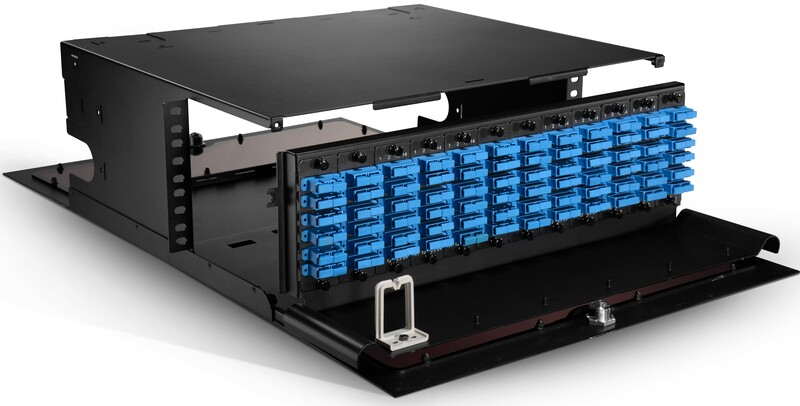 The Ethernet patch panel is an unshielded patch panel with 24 blank slots in a compact 1 U. This RJ45 patch panel is used to manage and organize Ethernet cables such as Cat5e patch cables and Cat6 cables. To enhance network cabling resiliency, consider for blank keystone/multimedia patch panels. The multimedia blank patch panels come witch 48 port patch panel UTP and 24 port patch panel STP/UTP in 1U rack mount in FS.COM. Different from the aforesaid 24 port Ethernet patch panel, their ports accommodate various snap-in jackets, including RJ45 Ethernet, HDMI audio/video, voice and USB applications. This allows users to customize their patch panels for different schemes. How to Use Blank Patch Panel for Ethernet Cabling? To use blank keystone patch panels for Ethernet cabling, follow the instructions below. Choose the proper quantity of Cat6 or Cat5e RJ45 insert modules according to your Ethernet cable types. You have RJ45 insert modules shielded in metal silver and unshielded in various colors for option. Inlay Cat6 or Cat5e RJ45 insert modules (from the rear panel to the front) into the empty ports on the blank patch panel. 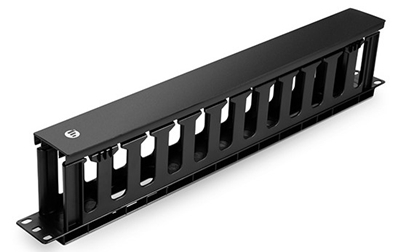 Install the equipped Ethernet patch panel onto a 1U rack with screws and screwdriver. Plug Cat6 cables or Cat5e cables into corresponding Cat6 modules or Cat5e modules. 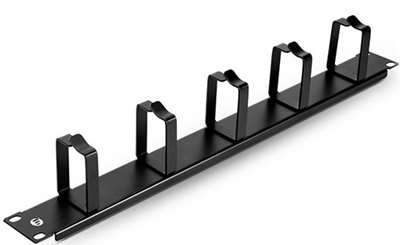 Manage cables with the help of cable management accessories such as cable managers, lacing bars and cable ties. Blank keystone patch panel has advantages of personalized setting and installation, which allows one patch panel to terminate different types of cables as long as corresponding insert modules are installed. Say loading both Cat5e and Cat6 insert modules on a 24 port keystone patch panel, then we can terminate both Cat5e and Cat6 cables into matching ports. So blank patch panel is an ideal choice for skillful operators who want to configure his own patch panel for customized cabling requirements. To seek for a most user-friendly RJ45 patch panel, go for feed through patch panel instead of blank patch panel. Feed through patch panel is an optimized pre-loaded patch panel, which leaves the troubles of punching down wires to the ports required by traditional punch down patch panel. The feed through 24 port patch panel has built-in RJ45 ports both at the front and rear sides for directly terminating Ethernet patch cables. The front ports are marked with sequential numbers for easy identification. The feed through patch panel is an ideal choice for HD cabling environment with convenient and efficient installation requirements. FS feed through patch panels come with Cat6 patch panels and Cat5e patch panels. The Cat6 patch panels are unshielded only whereas the Cat5e patch panels are STP and UTP available. Blank keystone patch panel is unloaded copper patch panel, which provides customized configuration with different keystone jackets. The various RJ45 insert modules installed on the Ethernet patch panel allow different cables to be terminated. The 24 port and 48 port keystone/multimedia blank patch panels offer copper cabling solution for Ethernet, video/audio, voice and USB applications. For the choice between blank patch panel vs preloaded patch panel, here’s the reference. Blank patch panel is perfect for operators who prefer to configure network patch panels by themselves to cater for their data center cabling. Preloaded feed through patch panel is a better choice for anyone requiring easy and direct access for Ethernet cabling. How to Manage Cables in Server Rack? In data centers, we run all enterprise network equipment (server, storage, network switch, etc.) into the server rack. And various wires such as fiber optic cables, Ca5e/6 Ethernet cables and power cords are spreading all over the floor. It’s rather a disaster to see all these cables tangling together without knowing which ends they are tracing to, which is inconvenient for operators to implement troubleshooting. Besides, interwined wires also cause cooling problem, crosstalk and interference, which causes performance issues. Fragile fibers under neglected management will easily break. All these reasons confirmed the necessity of proper cable management. So how to manage cables in server rack? Figure 1: An array of cable management accessories are installed in open server racks to manage cables. Above all, estimate your enterprise network scale, cabling numbers and other requirements to choose proper server rack. There are mainly three types of server cabinets in the market, making sure to choose the one for your network environment. All these server racks price are competitive in FS.COM. The open frame rack has no sides and doors to restrict it from reaching the open air. It provides easy access, sufficient open space and airflow for cable management, ideal for high-density cabling for server room and data center racks. You’d better to use open server rack in applications that don’t require security protection for cables. 2-post and 4-post are two types of open frame racks. The former requires less depth whereas the latter supports more weight. The enclosed server rack is a sever cabinet with front and back doors and side panels. The doors can be locked to prevent intentional sabotage and dust invasion. Black server rack 42U/45U is available in FS.COM to offer you with abundant rack cabling space. FS elaborately designs efficient brush guards on the roof to facilitate airflow and ensure better cooling. Wall mount server rack is used to hold network equipment such as network switch and network accessories such as fiber patch panel. It features functionality to be attached onto the wall to save floor space. FS manufactures 9U/12U 4-post wall mount network cabinets with glass front door. The defect is that wall mount server rack is not as big as other server racks to room large quantity of network devices. In this case bigger network cabinet is the better choice to go. Here is a comprehensive data center cabling solution video guide for your reference. After choosing optimal server racks for your cabling solution, take other cable management accessories into consideration. Deploy right fiber patch panels or cassettes to terminate your fibers, and use matching fiber enclosures to load them and other enclosure accessories such as fiber slack management spool. An intact loaded fiber enclosure ensures safe entry and exist of fiber patch cables and stores an excess of fibers in a compact of 1U/2U/4U. Use cable organizer – horizontal cable manager and vertical cable manager to keep scattered running cables in right place and ensure a neat rack environment. Besides, employ cable ties/zip ties to fix wire bundles. Put emphasis on cable identification tools. Cable ties are available with different colors to help figure different types cables or end devices. Color coded fibers and Ethernet cables are also helpful for recognition. Or you can buy color-coded cable labels with different numbers to mark your wires. Proper cable management cannot be accomplished in one action. First of all, carefully plan your cabling solution on the basis of your data center scale. 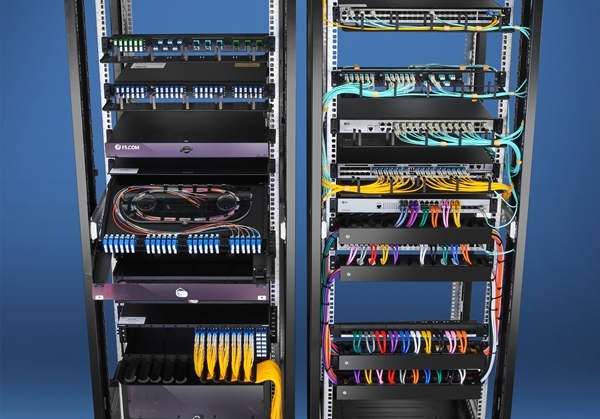 Then deploying proper server racks or cabinets and other cable management products – fiber enclosure, fiber patch panel, cable organizer/cable manager, cable ties, cable labels to manage cables shipshape and facilitate cable identification. All these jobs done orderly will make a clean and decent server room, and endow cables and the whole systems with security warranty. How to Choose Cable Manager for Rack? In data centers, cable management is of great concern in addition to functional data transmission devices. A mass of cable wires scattering and tangling together is bothersome for operators to implement maintenance. The neglect of effective cable management also leads to cable damage and low performance issues. To make clean and safe entry and exit for each cable, one must employ proper cable rack manager to ensure an organized and neat rack environment. However there are an array of cable manager products in the market. How to choose right cable manager for rack? This post may help. Figure 1：Deploying cable manager for rack and other cable management products to make a clean and neat sever room in FS data center. Cable managers own following functions – organizing and protecting running cables, reducing crosstalk and signal interface, facilitating airflow and cooling, and ensuring a clutter-free data center. In general, there are two types of cable manager for rack: horizontal cable manager and vertical cable manager. Further, each type has different styles available to cater for diverse cabling environment. Other cable management products frequently used in collation with cable manager are fiber optic enclosure, fiber patch panel, cable wires, cable labels and so on. Making clear of different types of cable manager for rack helps you to make a wise decision when buying cable management products for racks. Horizontal cable management panel is often installed in front of equipment such as network switch in parallel. Most cases horizontal cable manager for rack is matched with patch panel and rack-mount enclosure to provide cables a safe and organized pathway from switch ports into the vertical cable manager. And a dozen of wires often bundled with a cable tie to fix loose cables. Rack vertical cable management panel is installed erectly in each side of the cabinet walls to take over cables traversing out of the horizontal cable manager. Usually there are several horizontal cable managers for rack placed in different ladders and two bunches of wires are hanging down from each ladder. Thus the bilateral vertical managers play important role to make a clean multilayer cabinet. Both horizontal cable manager rand vertical cable manager for rack are installed in a server rack or cabinet to run cables away from equipment neatly. To achieve an optimal rack environment, these two cable rack managers are used together in a server cabinet. In addition to the aforesaid horizontal manager vs vertical cable manager for rack, there are other factors for considering. If you should deal with massive cables for a big enterprise data center, then you could consider the perfect combination of horizontal cable manager with vertical cable manager for rack in each of your server room cabinet. If you just handle a small business or office cabling, you can choose to save some money by omitting rack vertical cable management deployment. Server rack usually comes with standard 19-inch wide while depth is flexible in some degree. However rack heights are available with different rack units (1U=1.75 inches) such as 1U, 2U and so on. Accordingly cable manager for rack is designed with different rack units, make sure to buy a right size. Highlights, the bend radius finger bracket can be stacked to reach any heights, ideal choice for high rack environment. 1. To prevent equipment from overheating, choose horizontal cable manager with brush strip to ensure better cooling. 2. For optimal cable care and protection to protect fragile fibers from damage, you can choose horizontal cable manager with finger duct. 3. To enable flexible routing of massive cords in proper bend radius, pick cable manager with D-ring. It is made with steel for strength and durability, available with 1U and 2 U in FS.COM. 4. For managing different cable types and quantity, choose different styles of cable manager for rack. For example, vertical cable manager with bend radius finger provides extra-deep cable capacity for applications requiring large thick cable bundles (Ethernet cables: Cat5e/6/7). 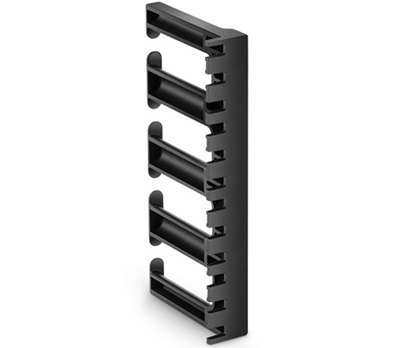 FS 5U 3’’ wide plastic vertical cable manager with bend radius finger owns ultra-high cable capacity up to 23 Cat6 cables. Cable manager for rack is one of the important cable management products in data centers. Making clear of horizontal cable manager vs rack vertical cable management is the first step for right deployment in cable rack management. Considering your cabling environment, rack specification (esp. U size), and various cable manager styles to cater for special requirements will help you to choose the best cable manager for rack. 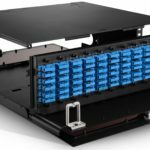 Patch Panel vs Switch: What’s the Difference? In network setups we see everything is plugged into a switch, but before that fiber cables are also connected to another supply – patch panel. Thus one question is often confusing: patch panel vs switch: What’s the difference and what’s the significant function of them respectively? Patch panel (fiber optic patch panel, fiber optic enclosure) is a terminate unit of network ports centralized together. It is a cable management solution component used to organize fiber cables and keep everything neat for a clean wiring closet. In data centers, a mass of cable wires scattering all over and mixed together can be bothersome, in this case a patch panel is indispensable and rather helpful. It not only offers ease of management, but also protect the terminations from being knocked. Besides the fiber optic patch panel, other cable management accessories including cable ties and cable labels are also used to keep cables tidy and easy for identification. 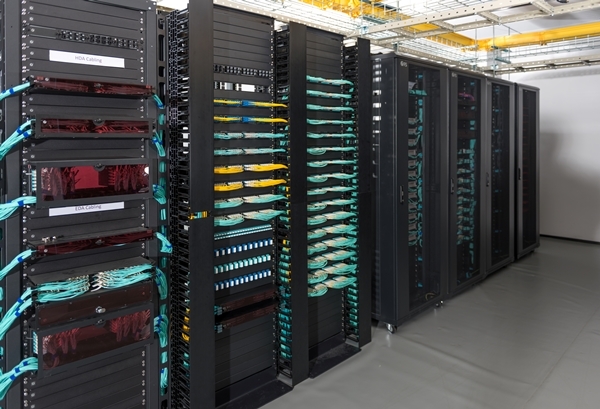 Figure 1: This photo shows the application of patch panel by FS.COM for cable management in a data center. Switch, commonly known as network switch, is an appliance in a data center that connects all devices (such as PCs and servers) as a whole to achieve intercommunication and data sharing between different network devices. It channels the incoming data from multiple input ports to the specific output port so as to deliver the data toward its destination. In Ethernet LAN or WAN, modern network switch usually determines which output port to use by network address. Figure 2: This photo shows the application of network switch by FS.COM in a data center. Table below shows the main difference of patch panel vs switch. Centralizing cable wires together; protecting fiber cables from damage. Functional performance: connecting all devices together to receive and transmit exact messages to the target device end. Comparing patch panel vs switch, we can make the following conclusion. Patch panel is nothing but an essential cable management tool, which exerts no functional influence to the performance of data transmission. However, a switch is an irreplaceable functional supply in network setups. Why Patch Panel Is Commonly Set Up in Network Installation? As mentioned above, patch panel has no effect on the data transmission process. Can it be omitted in fiber optic cabling? Or can wires just directly plugged to a switch? The answer is yes when you just deal with several fiber cables. However, Ethernet patch panel is a must in data centers where there are a large number of Ethernet drops. No doubt you don’t want to see all the things tangled together. A patch panel in place provide ease management of classification, maintenance, repair, installation and upgrades. This article gave an brief introduction to patch panel and switch respectively and then discussed the differences between them. 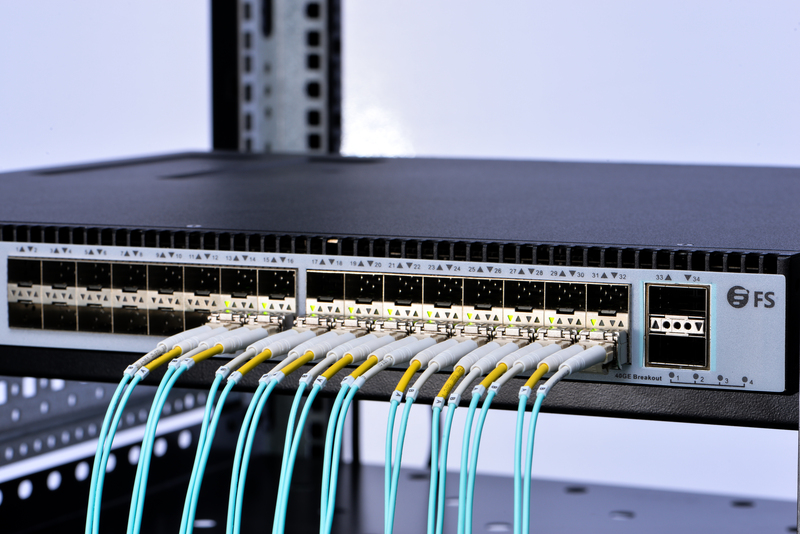 Patch panel vs switch : what’s the difference, and why is a patch panel commonly set up in network installation whereas a switch is already used? Can you answer these questions now? Simply put, patch panel is an essential cable management tool whereas network switch is a significant functional supply in data center. Both of them play important role in their respective positions. 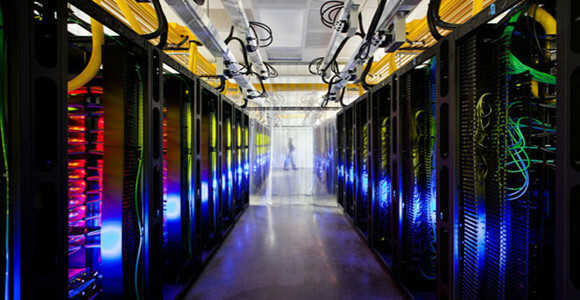 Data center houses a network’s most critical systems and is vital to the continuity of daily operations. Many of us have seen what it looks like. As we all know, the more complex a data center is, the more difficult it can be to ensure efficiency and orderly management—not only of the systems and equipment but of the working staff as well. How to simplify data center management? This post may give you the answer. When several different types of product, tools, and resources are used to support a network, complication cannot be avoided. With the rapid development of society, many business demands require the data center to operate quickly and effectively. In order to achieve this goal, various mix-and-match occur, which lead to a complicated data center. Here are several tips to simplify data center management and make it work efficiently. With the fast advancement of communications, equipment used in data centers is replaced frequently. Therefore, product standardization is something to keep in mind when upgrading and replacing the equipment, as well as the infrastructure that supports it. By utilizing standardized data center hardware, maintenance can be finished smoother and faster with common approaches, which save time, resources and money. A complicated data center environment makes it difficult to identify the root cause of errors or misconfigurations. So selecting some easy installation and space-saving products mean shorter installation times, less training time for staff and lower maintenance costs. There are many examples of products that make installation and maintenance simpler for data centers. Here are some examples. Designed to deliver maximum connectivity performance in a minimal footprint according to standards, LC uniboot patch cable uses a single, unified jacket for both fibers. 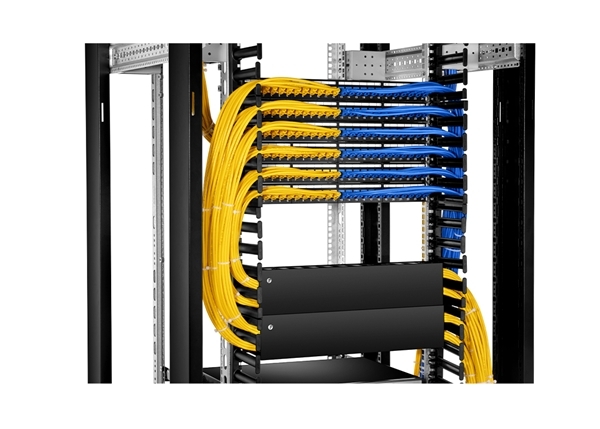 With this unique structure, it allows up to 68% space-saving in cabling volume, offering easier maintenance and operability. Besides, LC fiber optic connectors can offer higher density and performance in most environments, which makes it popular in many applications. Push-pull tab patch cable has a special “pull” tab design that enables the connector to be disengaged easily from densely loaded panels without the need for special tools, allowing users easy accessibility in tight areas when deploying in data center applications. With this unique design, high-density optical cable, such as MTP/MPO fiber cable, offers high-density connections between network equipment in telecommunication rooms and data centers. They can be easily installed or removed with one hand, which improve efficiency greatly. 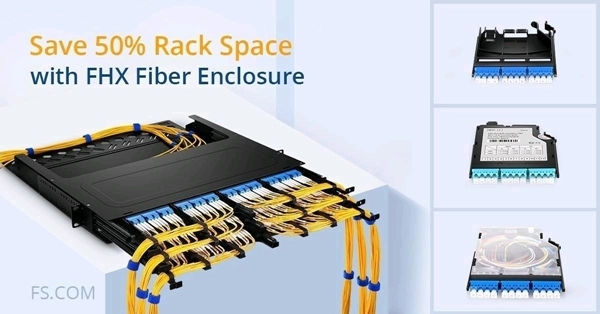 Fiber optic enclosures are designed to house, organize and manage fiber connections, terminations, and patching in all applications, providing the highest fiber densities and port counts in the industry contributing to better rack space utilization and minimizing floor space. 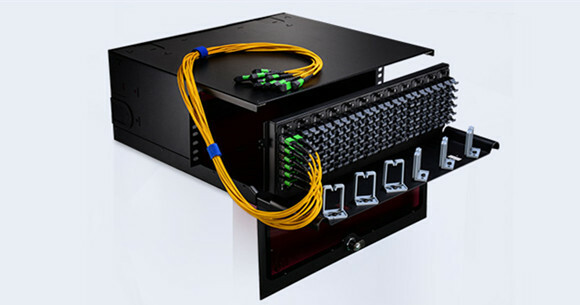 Loaded with different numbers of FAPs, HD fiber enclosures offer a high-density flexibility for cabling installations of data centers to maximize rack space utilization and minimize floor space. Of course, except for the cables and enclosures mentioned above, other small components in data centers also cannot be ignored. For instance, cable ties and labels also play a critical role in cabling installations of data centers. In a word, every detail should be taken into consideration when managing a data center. As we have mentioned above, under this rapid development environment, data center management should be equipped to handle current needs while offering a clear path for future technology requirements. Complex data centers can be simplified when components are deployed that allow you to grow and migrate to new systems in the future without compromising performance or reliability. For example, solutions that offer support for both traditional ST and SC and modern LC and MPO applications support cost-effective, simpler migration to 40G and 100G applications with only a simple cassette or adapter frame change. When data center processes and components are simplified, installation and maintenance for data center management become easier and less costly, staff resources are freed up for more strategic tasks, troubleshooting becomes less cumbersome and migration is also more easily achieved. All components mentioned above are available in FS.COM. Welcome to visit our website for more detailed information. As the growing demand for faster access to larger volumes of data, coupled with emerging high-speed network standards and rapidly advancing technology, fiber optic cables and cabling components have become a very popular element in data centers and high-speed networks. And when 10G fiber is the norm in most data centers today, the 40G fiber is also becoming commonplace. In this article, three effective solutions for 10G/40G connectivity will be introduced. A breakout cable is a multi-strand cable which is divided into different specification cables. 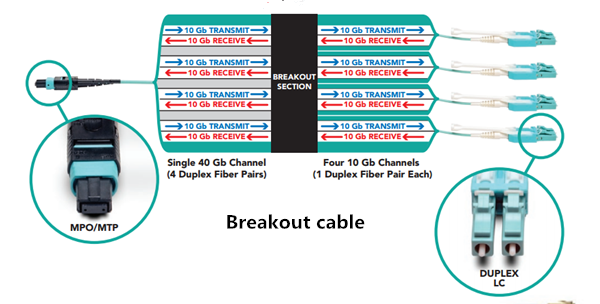 For example, a 40Gb breakout cable has four 10Gb duplex cables totaling eight strands, while a 100Gb breakout cable has 10 duplex cables and 20 strands. How Does Breakout Cable Work? To understand how breakout cabling solutions work, take integrating 10Gb servers into a 40Gb network for example. For each port on the switch, an MTP/MPO breakout cable which has an MPO/MTP connector on one end and four duplex LC connectors on the other end is needed. The MPO/MTP connector is plugged into the transceiver that connects with 40Gb switch and each duplex LC connector plugs into a 10Gb port on each server. If the switch has up to 32 40G ports, up to 128 10G devices can be connected to it using breakout cables. 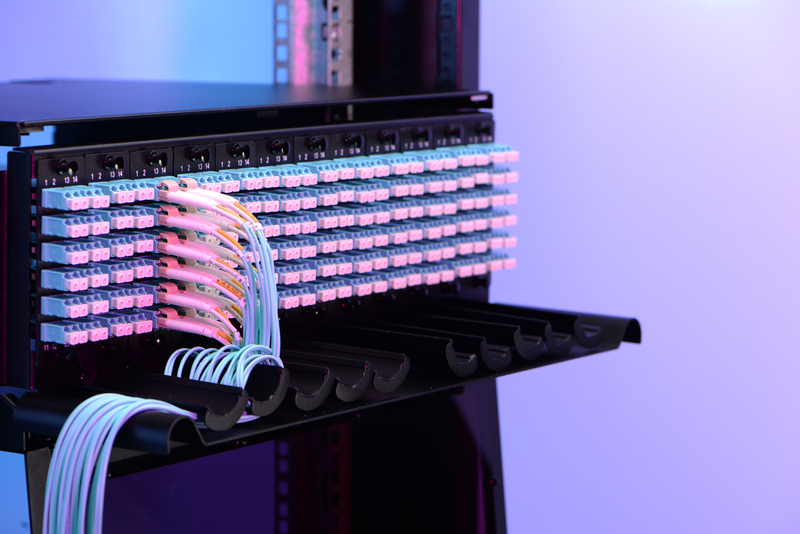 This breakout cabling solution enables slower equipment to be connected to higher-speed equipment successfully, such as the 10Gb servers and 40Gb switch in our example. Up to 128 10Gb devices can be connected to a 32-port 40Gb switch. MTP cassette modules provide secure transition between MTP and LC or SC discrete connectors. They are used to interconnect MTP backbones with LC or SC patching. Supporting various network cabling standards, the cassettes are easy to mix, match, add and replace as the connectivity needs grow or change. How Does MTP Modular Cassette Work? Modular fiber cassettes are the key to modular systems. Available in multiple variations, the cassettes allow users to interconnect different fiber speeds simply by plugging standard LC cables into one side of the cassette and one or more standard MPO/MTP cables into the other side. For 10G connectivity, MTP/MPO cassettes are used to connect 10G device to 10G device, especially when the distance between two devices is too long. And for 40G connectivity, MPO/MTP cassette is used to connect 10G device to 40G device. Modular patch panel solutions offer users an easy-to-use solution that works with the equipment of today and can easily be transitioned for the networks of tomorrow. Modular cassette solution also has many advantages. First, this solution offers flexibility and scalability for network upgrade. Second, with fiber modular cassettes, this solution allows users to manage cables in any direction—horizontal or vertical, front or back. Finally, by managing varying port densities and speeds in a single high-density patch panel, users can save valuable rack space and data center costs. Fiber breakout panels are ready for plug-and-play deployment out of the box. They provide increased access between ports, thus enabling the ease of moves, adds, and changes of cables. 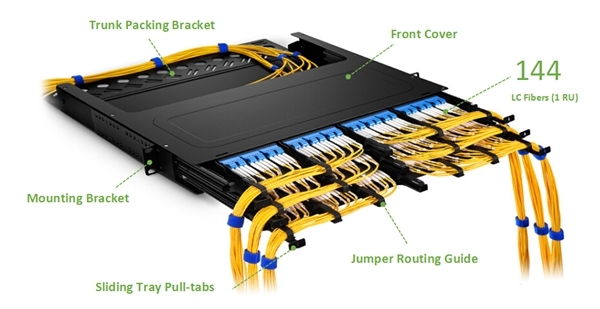 It’s the increased access that help fiber breakout panels offer a cost saving, simple and efficient cable management solution for future high-speed network connection. How Does Breakout Panels Work? 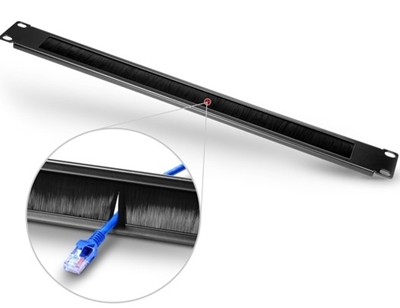 Fiber breakout panels offer a simple, cost-effective alternative to breakout cables. To understanding how it works, let’s take one of 40G QSFP+ breakout patch panel for example. The 96 fibers MTP-LC 1U Ultra Density 40G QSFP+ breakout patch panel has 48 duplex LC ports front and 12 MTP Elite rear ports. When it’s installed, the 40GE QSFP ports with MTP fiber cable will be connected to the back of the panel, and then LC fiber cables will be linked to the LC port. This 40GB QSFP breakout panel logically groups the ports in 4 duplex LC ports, and is available for single-mode or multimode applications. Breakout panels solution can connect different equipment such as 10G, 40G and 100G, offering more flexibilities for network cabling. Besides, as the breakout panels are pre-terminated, they can be easily installed and help save installation time. With increasingly higher network speeds always just around the corner, network build and upgrade also get much attention. Choosing suitable connectivity solution for 10G/40G connectivity which allows you to meet your current connectivity needs while simultaneously investing in your future also should be attached more importance. The contents above give an explanation of three cabling solutions. Hope it may help you.